Above is a very typical meal served in the Northern part of India. This meal was served to my daughter at my inlaw's home, prepared by a servant cook. The Chapati is always made at home by hand using whole wheat flour and served at lunch and dinner. Typically a dahl (bean soup) is always made along with a "subji" or cooked vegetable dish. They normally prepare a 1/2 cup of oil cooked with spices and seeds that gets poured over the top of the entire pot of dahl. I asked them to instead add the oil to their individual serving of dahl so that our family could have the dahl without oil. Oil and ghee are not necessary and are used in too great of quantities. Meals can be cooked with minimal or no oil without sacrificing flavor. Meals are oversalted. While in India I request that food is not salted until after our family has taken their serving. Brown rice should be substituted for white rice at least two or three times a week. Breakfast, not pictured here, is typically tea and a small bowl of beans served with white bread toasted. My father-in-law would sometimes eat a banana before breakfast but the nutrition could be greatly improved if two to three pieces of fruit were consumed before the beans, and wheat bread substituted for the white. Too much cooked food is consumed, making the Standard North Indian diet low in nutrients, phytochemicals and antioxidants. In a country where pollution is abundant, more raw fruits and vegetables need to be consumed. ﻿ Salad greens are not found in India and it is unheard of for someone to eat a raw spinach salad. So I created a salad plate based on an idea from my inlaw's cook servant who's name is Shumshu. Shumshu doesn't speak any english, but since I understand 90% of the food words in Hindi I was able to create this tasty salad that is one of his favorites. It is simply shreded cabbage, sliced cucumbers, orange slices and cilantro served freshly squeezed orange juice drizzled over the top. I served this to my insulin dependent diabetic mother-in-law. Now if I can just get her to remember to ask Shumshu to make this delicious salad for her twice a day! She could also add seasonal fruit like pomegrant or apples. Back from a month long trip to India! My daughters standing in front of their Grandparent's home in Roorkee, India as a cow passes by. I hope everyone had a great Turkey Free Thanksgiving. In case you were wondering why I've been so quiet for the past month, I've been away in India with my family visiting my husbands side of the family! We visit India once every two to three years, though now that my husband's parents are aging and experiencing health issues I expect we will go more often. I'm happy to report we all made it through without any injuries or major illness on this trip. I'm so thankful that we have a strong foundation of health to fall back on. I always come back from these trips feeling so greatful for all that we have here in the US. We complain about things like money, car traffic, the house not being clean. In India there is no minimum wage, laborers work for $4 a day and in some areas less than that. Of course people are able to survive on this amount of money because the cost of living is very low compared to here, but there are no labor laws protecting children and workers who become injured on the job. The car traffic in India is mostly over two lane roads that are not properly paved and maintained. Any and all types of vehicles and animals are on the road at any given time. It makes driving stressful and exhausting. So many near miss head on collisions that I have witnessed. My heart used to stop frequently on my first two trips there, but now I just pray before I get in the car, breathe and hope for the best. I cannot control the situation so I will surrender to it being out of my control. As for our homes not being clean..imagine living in a place where the pollution and dust flooded your home so much that it never felt clean by your lowest standards no matter how often you cleaned it! I was certain before leaving that my house was not clean since I didn't have time to mop. When we arrived at home, I thought to myself "this place is SO CLEAN"...and maybe I need to lower my standards! There are some things that I really enjoy about India, especially in the small town where my husband is from. In Roorkee people buy all produce locally and seasonally from small farmer stands in the marketplace. There are no "Grocery Stores"...yet. I expect the next time we go there will be one or two small grocery stores that will have aisles and grocery carts. India is changing as the jobs move from the US to there, people have more money to spend and can afford much more than they could five years ago. There is also a "Subjiwalla" or person who walks by homes selling fruits and vegetables off the cart. He yells "Suuuuuubjiiiiiiiiiii" and then loudly announces all the produce on his cart. How I wish we had this service here! How convenient to be able to buy onions and tomatoes from your doorstep when you need it. My husband shopping at his dad's cousin's store. ﻿﻿﻿Shopping in India is a different experience altogether compared to here. Shops are the size of a one car garage or smaller. All of the items are up on shelves, clothes folded away, and you tell the shopkeeper or workers (sometimes they are little kids) what you want and they pull it down for you to look at. This way of shopping can save time because you don't spend time finding a parking spot and walking through a store looking. You walk up or have a rickshaw drop you directly in front of the store and tell the shopkeeper what you are looking for. It can be frustrating because selections are limited and sometimes during clothes shopping they will continue to pull items down until you adamantly refuse. I also feel bad if we have them pull down 10 or more items and don't find what we like. There are no refund policies if you are unhappy with what you buy, most stores will only exchange things IF you have the receipt. Family ties are strong in India and the cultures and languages vary by region. The social structure is very complex. I have given up on trying to understand it all when it comes to gift giving and money exchanges on our visits. I leave it up to my husband to take care of it! I know that my life would be very different as an woman living in India. Women are treated with little respect (unless they have a big fancy job title) and have so much expected of them. They are the real definition of "Superwomen". They are to be full time workers, take full responsibility in care of the kids when they get home from work, serve dinner and wait hand and food on their husbands. If a friend or extended family member drops by, they are expected to whip up lunch or dinner and tea on the spot. They will spend the entire time in the kitchen cooking and serving food and sometimes not have time to even interact with the guests. Even a woman who is a Medical Doctor by profession can be found in the kitchen on her day off making chapatis and tea in the kitchen entertaining guests. There is so much importance given to the school you graduated from and the job title you have. When I explain that I am a Wellness Coach and a Plant Based Nutrition Educator, they lose interest quickly because I am not working for a big corporation and don't have a big title like "Managing Director" or "Senior Executive" and I'm not making $80-100k a year. It's of no interest to them that I am doing what I enjoy and that I am helping people. I also got a lot of resistance when I told people that we homeschool our kids. It is their expert opinion that kids can only learn in school and we are doing them an injustice by keeping them from that experience. Schools in India are very textbook driven and theory based. There is very little if any "hands on" or practical experience in the classroom. Kids are expected at a young age to compete and perform well on tests because when they graduate from high school there are very limited spots at major universities, so competition is fierce. The problem with this is that India is producing a workforce of "producers", people who can take directions from authority and have little ability to think creatively and solve problems on a daily basis. Yes we need producers, but we also need inventors, creators, and leaders. Engineers are a plenty in India. There are "schools" that will take a person's money and award them an Engineering degree without working for it. In the past, the engineering profession was a lucrative field that lifted many out of poverty but as the number of engineering jobs reduces and the number of unqualified Engineers increases, many will be forced in lower paying factory and construction jobs. I hope you enjoyed this blog post, even though it was a bit off topic for my blog. I will be discussing more about the Northern Indian Diet on my next post. "Rip Esselstyn created the Engine 2 Diet to help Americans lose weight, lower cholesterol, significantly reduce the risk of disease, and become physically fit — in just four weeks. The Engine 2 Immersion Program was designed in partnership with Whole Foods to serve Whole Foods’ team members that are currently at risk for heart disease, diabetes, obesity, hypertension, and other diet-driven western diseases. Over the course of an intensive 5 day program in the beautiful Hill Country of Austin, Texas, E2 Immersion participants join Rip, his father Dr. Caldwell B. Esslestyn, Jr. of the Cleveland Clinic, renowned nutrition expert Jeff Novick, Dr. Pam Popper, and a host of other extraordinary experts for a life-changing experience. 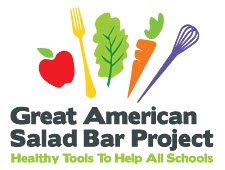 They will receive information & education about the powerful influence that diet has on the body’s health, as well as extensive training on implementing a plant-strong lifestyle in their homes." It definitely requires preparation if you want to stick with eating a healthy plant based diet inside and outside the home. If you do not plan ahead, do not expect good results. It's just that simple. If you can't pick the restaurant, call ahead and let the chef know that you will require a dish free of animal foods and oil. If you forget to call ahead, let the waiter know as soon as you sit down and find out if the chef can put together a platter of vegetable side dishes and a salad with oil free dressing. I have found that even steak houses in the area will accomidate us with a really nice veggie platter and there is one that even does a homemade oat/veggie burger near our home. Don't order the Kid's Meal for your kids! Kid's Meals have some of the most unhealthy choices on the menu. Instead, split an adult size vegetarian dinner between smaller kids and have them munch on raw veggies in the car on the way to dinner so they aren't "starving" when the meal arrives. Let them know upon being invited that you are eating vegetarian fare and offer to bring a dish to share. If they insist on cooking, offer to send them some recipe ideas that are easy to make and don't require special ingredients. I always point people to my favorite easy to make recipes on my blog and others like the Fat Free Vegan Blog and VegWeb. If the party is at a Bounce House or other party facility where pizza is served, call ahead to the managers and let them know that your child will require a pizza without cheese and at least one veggie topping. When it comes to birthday cake, we've been lucky to have a vegan cake at the majority of parties thanks to my wonderful circle of friends. But of course there are some parties where the cake is not vegan and that is when I let them choose, so long as the cake was home made. If it's store bought and the icing is loaded with food dyes I will let them eat the cake but not the icing. Soda, Commercially prepared juices, Sports Beverages and Slurpee type drinks are off limits for my kids always. 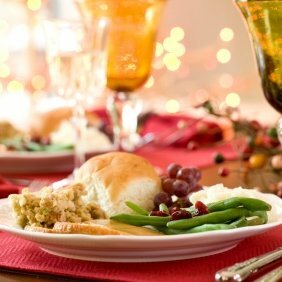 You can now get lots of Vegan recipe and menu ideas for Thanksgiving and Christmas on VegWeb. They have an entire page organized with "Must Have Recipes", "Forum Chatter", "Around The Web" links. The "Must Have Recipes" include two of my favorites: Roasted Sweet Potatoes with Cashew Butter Sauce and The Ultimate Pumpkin Cheesecake. The "Around The Web" section provides links to various other sites including the Farm Sanctuary Adopt-A- Turkey, which is what we do on Thanksgiving instead of eating one. I'll talk more about the Adopt-A-Turkey program on a future post! Mitch Spinach to the Rescue! There's a great new children's book series that Dr. Fuhrman is promoting. 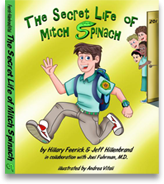 The first book, which is available for purchase now is called "The Secret Life of Mitch Spinach". The main character, Mitch, eats "high-powered fruit and vegetable smoothies that give him special powers, such as super-sonic hearing and amazing night vision, which help him tackle problems and solve mysteries at Sunchoke Elementary." Finally a book that relates eating healthy with having "super hero powers"! I'm totally buying this book and I'll post my review and the reaction of the kids at our weekly homeschool enrichment day. I was recently inspired to create my own version of a Creamy Pumpkin Smoothie after trying the recipe on Fat Free Vegan. I didn’t like how the recipe made a very heavy liquid pumpkin pie. I like to eat Pumpkin Pie but somehow the texture of drinking one just didn’t work for my tastebuds. Place all ingredients in a high powered blender and blend until smooth. Add a bowl of fruit and you have a super healthy and filling breakfast. Watch Dr. Fuhrman Live at the World Preservation Foundation Conference in London! The following information was taken from a Press Release on DrFuhrman.com. Dr. Fuhrman will be speaking at the World Preservation Foundation Conference on Wednesday, November 3rd at London's House of Parliament. He will address the general assembly and also provide a breakout session for world leaders who want more in-depth information about his nutritional discoveries about preventing and reversing disease and reducing human suffering and the economic burden of chronic diseases. Dr. Fuhrman's message of improving lives through healthful eating - by embracing a diet-style rich in micronutrients - is receiving worldwide acclaim as thousands of cases demonstrate the reversal of conditions traditionally considered incurable, from heart disease and diabetes to high blood pressure and autoimmune disorders. His program has also allowed thousands of patients to lose weight quickly, safely and permanently. You can watch the live webcast of the event at http://www.drfuhrman.com/live. The Myth of Moderation: Do All Foods Really Fit? This insightful guest post is written by Jeff Novick, MS, RD, LD, LN. and shared on whatahealthyfamilyeats.com with permission. Jeff has over 24 years of experience in nutrition, health, fitness and natural living. He offers expert health advice distilled into powerful, easy-to-understand language on a variety of current topics. Jeff’s insightful and humorous approach to nutrition and health has helped thousands worldwide make the transition to healthy living. He has written and produced a variety of informational and entertaining DVD's on health and Plant Based Nutrition. The photo is from 106green.blogspot.com. Whether it is chocolate, wine, red meat, dessert, etc. Nothing is bad, in and of itself, as long as we just don’t consume too much of it. But, how do we define “too much” and how do we know if we have surpassed this? Our current concept of “everything in moderation” comes from ancient Greece, where at the temple of Apollo at Delphi there was the inscription, “Meden Agan” or “Nothing in Excess.” From this, we got the concept of doing something “in moderation” which means, not doing it excessively. Therefore, someone who moderates their food consumption may choose to eat food from all food groups, but will limit their intake of those foods that may cause deleterious effects to harmless levels. So, how are we doing in this area? The items we know that are causing harm to Americans right now are the excess consumption of added sugars, refined grains, sodium, fat, and saturated fat. So, how much does the average American consume of these? Added Sugars – 242% over the recommended upper limit. Refined Grains – 200% over the recommended upper limit. Sodium – 229% over the recommended upper limit. Saturated fats – 158% over the recommended upper limit. Solid fats – 281% over the recommended upper limit. Therefore, these are 5 items we can no longer consume “in moderation” as their current level of consumption is far beyond the level we know to cause harm. The only solution is a dramatic reduction in the amounts we consume of these items. Then, and only then, perhaps we can again, consume these things in moderation. However, there is also a flip side to the saying “everything in moderation.” There are items that we know are very beneficial, that we should be consuming a certain amount of in order to gain their benefit. These are fruits, vegetables, whole grains and fiber. Fruits – only 42% of the recommended minimum intake. Vegetables – only 59% of the recommended minimum intake. Whole Grains – only 15% of the recommended minimum intake. Fiber – only 40% of the recommended minimum intake. Therefore, these are also items we can no longer consume in moderation as their current level of consumption is far below the level we know to be beneficial. The only solution is a dramatic increase in the amounts we consume of these items. Then, and only then, perhaps we can again, consume these things in moderation. I have posted recent graphs from the USDA that show these points. In addition, over 2/3′s of Americans are currently overweight and over 1/3 are obese. We did not get this way by consuming “all things in moderation.” We got this way by consuming many things, and many of the wrong things, in excess. Great excess. And, the USDA figures in the above graph, bears this out as since 1970, the average American consumes 30% more calories with most of these calories coming from added sugars, solid fats, saturated fats and refined grains. As we see, Americans’ are not consuming foods in moderation nor are we engaged in regular activity as over 70% of Americans do not even meet the minimum recommendations for activity/exercise. This is why the current concepts of”everything in moderation” and “all foods fit” for the average American today is a myth. Moderation is no longer an option in regard to calories, or in regard to the foods we know can be harmful, or in regard to the foods we know to be beneficial. We are so far from what constitutes healthy in America, that we have much work to do to get back to where we could once again discuss moderation. Rationalizing the over consumption of harmful foods, or the minimal consumption of beneficial foods, with a saying that does not apply to our situation, will not help us. We have to at least double the intake of fruits, vegetables and fiber just to reach the minimum recommendations. In addition, we have to cut our consumption of added sugars, fat, sat fat and sodium in at least half just to get down to the upper level of the recommended limits. 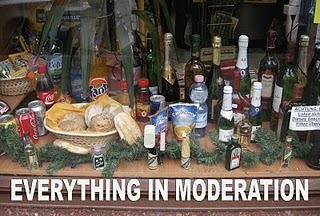 Moderation will not help accomplish this. We need a dramatic shift in our understanding of our current situation and the solution we take. World Vegan Day is Today. Take the Pledge! In honor of World Vegan Day on November 1st, I am offering Free Group Coaching to those who want to take a 7 to 14 day pledge to consume an animal free diet. On Facebook I offered the first 10 people who responded free email coaching and I already have more than 10 people interested! So, in order to not overwhelm myself I will do the group coaching for anyone else who really wants to take the pledge. You can start by going to my Yahoo Group, Optimal Health for Everyone. You can also take the Pledge on the Vegan Society website but do not select that you want a mentor if you want your mentor to be me! For more information on World Vegan Day you can go to the Vegan Society website and download a booklet called "Eating The Earth". A few years ago I decided to invest in a juicer...that was before I knew about the Vita-Mix! I still break it out a few times a month on the weekends and make carrot juice, adding in greens and fruits depending on what I have on hand. I love homemade juice because you never have to add sweetener, you can sweeten with real fruits and you know exactly how fresh they are! You also get the benefit of added nutrition, fiber and enzymes from the raw produce. Most commercially made juice has been pasteurized, meaning it's been cooked at low temperatures to kill bacteria. And who knows what condition the fruit was in that was used, or how long the juice was sitting on the shelf at the store before you bought it? I think it's okay to use store bought juice on occasion, not as an everyday habit, so long as it is organic. But if you really want the health benefits of drinking juice, you really need to make it at home! It's a great activity for the kids to be involved in too. Younger kids can help feed the veggies and fruits into the top of the juicer and older kids can also help with chopping the fruits and veggies. I recommend any of the Omega Juicers. They are super easy to use and clean up is a breeze. These juicers also press the juice and none of it gets near the engine where it could become warmed. 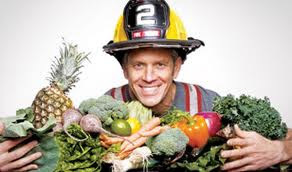 Joel Fuhrman has recently been featured on Raw Foodist, Kevin Gianni's "Renegade Health Show" in a series of interview questions about Vegan Diets. 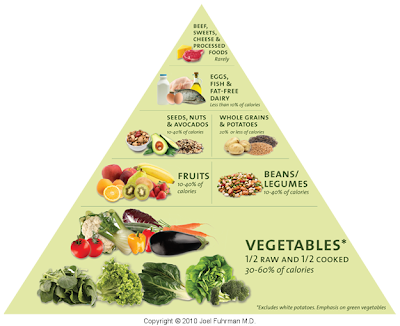 Fuhrman does not promote a 100% raw foods diet, but one that is high in raw food (75%) and green vegetables. I'm a follower of his Eat for Health plan and I also coach individuals and families who want to transition to his way of eating a Plant Based Diet. I am excited about Dr. Fuhrman's new colorful Nutritarian Food Pyramid! 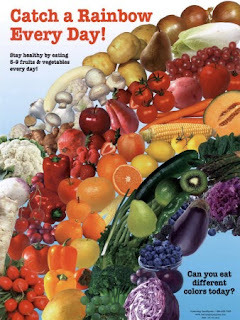 It has all the brightly colored pictures of fruits and veggies that we should be centering our diet around. He has also added the percentage of calories from each category, which was not featured on his previous pyramid. You can purchase a magnet for your refrigerator at Dr. Fuhrman's website. A few months back I posted about how I was saving close to 50% on my groceries by shopping at Publix. Well, that's when I was able to use two or more competitor coupons from Target, CVS, Family Dollar, Harvey's and Save A Lot. Now both Publix stores that are within a 2 mile radius of my home will only allow me to use ONE of those competitor coupons per grocery visit and I can no longer use CVS ($5 off $25 purchase) and Harvey's ($2 off $5 produce) coupons. I guess the couponing rage has caught on to more shoppers in my area because not only are they tighting policies, they are also getting cleared out of inventory on BOGO's the first two or three days of the sale! So, now my savings is around 30-40%, still better than what it was when I was not paying attention to sales flyers or using coupons. And now I am asking myself, do I really need this item even though it is super cheap or free?! For example, I bought about 20 boxes of the Kashi 7 Whole Grain Flakes and Puffs because they were .50 a box with coupons. The cereal, though healthier than most, is essentially processed food and not really all that high in nutrients. My family would be better off eating oatmeal or home made granola in place of the cereal. Of course the preferred breakfast is the Green Smoothie! And I'm not just shopping at Publix, I am back to shopping at Whole Foods and occasionally Hoover's Essential Health Market when I have a coupon for something I need that never goes on sale at Publix. Drawing for the Free Book is coming up on the 31st! Just a reminder that I am giving away a free copy of The Engine 2 Diet on the 31st! You still have time to increase your chances of winning by posting a comment on my blog between now and the 31st. I will be using Random.com to select the winner. Come on people! Your post can be as simple as writing "Cool, thanks!". How easy is that?!! Aren't these beautiful!? Champagne Grapes are in season and you can get them at Publix and Whole Foods right now. They are a fun snack for the kids because they are small and easy for them to handle. They have a very mellow, sweet taste. Definitely pick some up on your next shopping trip. Beans, Magical Beans...all from our garden! Anika's hands busy at work! How do you spend your Friday nights? At our house we spend at least one or two Friday's a month preparing food from our garden for storage so we can use it later. I love beans because you can dry them and store them in an airtight container for months. They grow really well in Florida, so all my Florida friends make sure you plant beans next Spring! These beans will make a wonderful crockpot soup! Pictured above are two of my favorite smoothie boosters, whole golden flax seeds (not Oil!!) and Matcha Green Tea. The flax increases fiber consumption, reduces risk of cardiovascular disease, helps to drop cholesterol levels, and reduces inflammation in the body! It's one of those foods you need to consume daily. Green Tea doesn't just make an impact on breast cancer cells, it works the same for prostate as well! Raw Vegan food...is it always "healthy"? I love the creativity of raw food chefs. They can take a typical Standard American Diet dish and totally raw it up. Pictured above is a raw meal called "I am Fabulous" that I ordered from Cafe Gratitude on a recent vacation in Healdsburg, CA. You might be able to guess from looking at it that it is a raw lasagna. The "pasta sheets" are cucumbers sliced thin lengthwise. The "cheese" is a ricotta made from cashews and walnuts and the inside layers are filled with mashed olives, basil and olive oil. The dressing on the salad with beautiful sprouts is made from figs, walnuts and oil. As most of you know from my posts on this blog, I am an advocate of a high raw, low fat diet. However, I am not a 100% raw foodist. I believe that certain foods provide more nutrients and are better digested lightly steamed or cooked than raw. Foods like broccoli, cauliflower, sweet potatoes, tomatoes, collards and kale. Collards and kale work well in green smoothies, but we do need to chew our food more often than drinking it from a blender. I believe we have teeth for a reason! While the lasagna was beautiful in presentation and appeared to be made of the freshest organic ingredients, I have a hard time calling it "healthy" when it was obviously very high in fat. I do not know the exact fat grams but I would guess it was at least 30 grams. That is a lot of fat for a person to digest in one meal. I split this meal between my kids and I still had a hard time finishing it because I could feel the oil having an effect on my body. Oils are low nutrient, high calorie foods. They do not contain nutrients, fiber or phytochemicals that were in the original seed or fruit. Oils contain minimal amounts of Vitamin E, making it of very little value in the diet. One thing I do want to make sure everyone knows is to not cook with oils, or least try to avoid cooking foods at high temps with oil. See my article on my website about oils for more details. At home I eat a very low fat diet and use almost no oil. My main sources of fat are avocado, nuts and seeds and I use those sparingly. There are traces of fat in grains, fruits and vegetables, so I don't obsess about whether I'm getting enough fat. I can just tell by how I feel when I've had too much fat...tired and sluggish, with upset digestion. I have been following Eat For Health for several years and have coached dozens of individuals on Eat for Health who have lost weight and regained health. It is also much easier to follow and maintain than the popular raw food diets currently circulating. 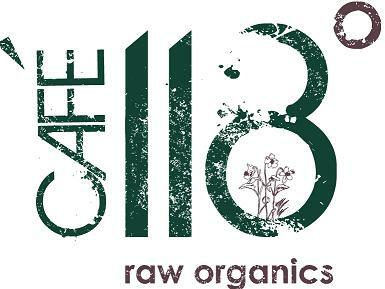 If you are looking for a 100% raw food plan that is also low fat, I recommend the 80/10/10 Diet by Douglas Graham and Frederic Patenaude's The Raw Secrets . Subscribe to What a Healthy Family Eats and enter to win FREE books! 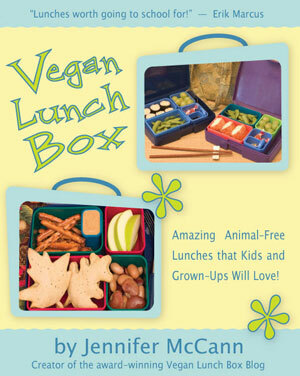 Every month, starting this month, I will be giving away a book that supports a low fat animal free plant based diet. I will be giving away personal favorites that I have read and tested recipes from. You can enter to win by subscribing to my blog AND posting comments. Each time you post a comment you increase your chances of winning the book. This month I am giving away The Engine 2 Diet by Rip Esselstyn. This is the best book to give to any person in your life who just doesn't get the whole concept that you can eat an animal free diet, ENJOY eating, feel satisfied, and be healthy! There are lots of hearty recipes in this book that will satisfy even the most die hard meat eater. Good luck and thanks for supporting my blog! "NoriGami" will get your kids to eat Seaweed! My kids are always coming up with crazy creative stuff to do with food. Here my 8 year old daughter has taken a sheet of Nori used for making Sushi and folded it into an Origami Cat! Seriously, how cool is this? What kid wouldn't eat this sheet of seaweed? We'll have more designs up later. Obviously this idea is limited to simple Origami designs because the more folds you have to do the more breaking occurs with the Nori. Don't these Mung Bean Sprouts look beautiful? That's because I sprouted them at home! Sprouting is so easy to do and so much more affordable and safer than store bought. You can sprout any dry seed or bean from the bulk bins or bags from the store. You can buy affordable organic beans and seeds from Whole Foods and Hoover's Essential Health Market in the Central Florida Area. 1. Pour one to two cups into a large glass bowl. 2. Sort through the beens or seeds to make sure there are no bad ones or rocks. 3. Rinse them well and then pour enough cold water over the top so they are covered at least 3 inches deep. 4. Let them sit over night or at least 8 hours. 5. Rinse the beans or seeds well and strain as much water as possible. You may have to use a fine seive for small seeds. Let the seeds/beans lay flat on a tray for the day. Repeat step 3, 4 and 5 until the beans/seeds become sprouted and the hulls start to fall off. 6. Dry your sprouts thoroughly before you put them in the refrigerator for storage in an airtight container that is cracked open to allow air flow. I was in Whole Foods over the weekend and noticed the bookcase in the Whole Body section has been completely restocked with mostly Dr. Fuhrman's Eat for Health book set and DVDs! This welcomed change is due to the company's new "Health Starts Here" program. Other books on the shelf include vegan diet plans by Neal Barnard, John McDougall, Caldwell Esselstyn, and Rip Esselstyn. I also noticed the "Food Revolution" by John Robbins which was one of the books I first read that jump started my own journey to Veganism. I'm ecstatic that Whole Foods is taking a stand on what they believe is the right nutrition for optimal health and the health of our planet...now if they'd just get rid of that organic meat section! I mean really, if they're going to put the message out there that we don't need animal protein, then don't sell it!! 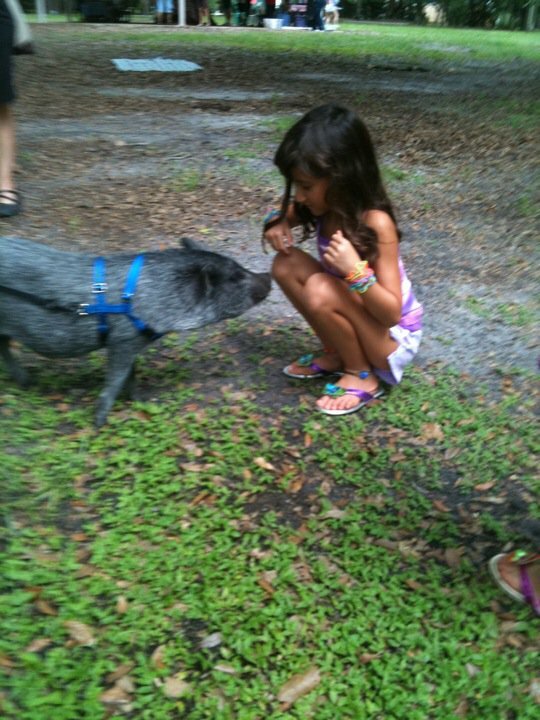 Today we went to the annual 4th of July Picnic with the Animal Rights Foundation of Florida. 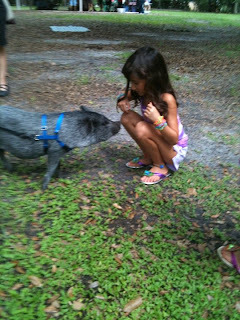 My kids fell in love with the Pot Bellied pigs that were rescued animals from the Kindred Spirits Animal Shelter in Ocala. The pigs were just loveable. The one in this picture was following Anika and poking his nose at her for attention. The girls had no interest in being at the picnic until the pigs arrived...and then they didn't want to leave. Kindred Spirits is on my list of places to visit this year. Hopefully I don't get talked into bringing home a pig....I really could see myself owning one, but I don't think I have the right backyard. If you are still putting together your menu for 4th of July, please take a look at the Fat Free Vegan blog! There are lots of quick and easy meals and desserts you can put together for a cook out. 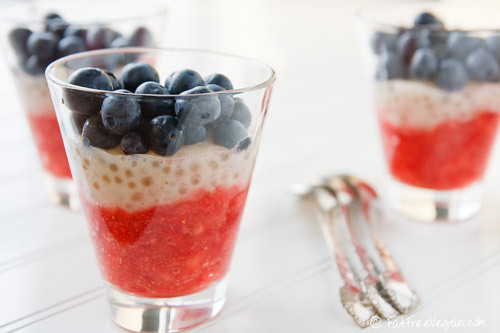 I really love these red, white and blue parfaits! She has a full line up of dishes from 2007 including an "International Quinoa Salad" and "Red Bean Chipotle Burgers". 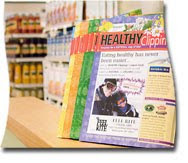 The Healthy Clippings Coupon books for Summer 2010 have arrived! Get your copy at Hoover's Essential Health Market in Apopka. Cafe 118 is an Organic Raw Vegan restaurant located in Winter Park that uses a lot of Young Thai coconut in their various dishes. This benefits you because they have a lot of raw coconut water left over. They are selling it for $4/glass, $20/gallon. Bring your own container to fill and take it to go! For more information about Cafe 118 go to http://www.cafe118.com/. Teechino brand Herbal Coffee makes a great coffee substitute. It's also the best way to wean yourself off coffee! You start out with a small amount of Teechino added to your the ground coffee in your coffee maker and then gradually add more Teechino and less coffee every day. Specific directions on how to do this are on the bag. Teechino is giving out free samples and you can also add yourself to their newsletter for future promotions and coupons! The Coupon Clutch! It's handmade here in the USA and comes with all the plastic pages to keep your coupons organized and visible. My only wish is that they would have sent more of the pages that hold large coupons. It looks like I will have to buy more. I was wasting a lot of time going through coupons to find what I needed before a shopping trip. Now that I can quickly flip through the pages, I'm hoping I will spend less time locating coupons and not let coupons expire before I get a chance to use them. The Coupon Clutch comes in several fabric patterns with the option to buy the pattern and make it yourself. Right now through end of June 2010 there is a 10% discount through Carrie's Coins and Sense.